Kost Plumbing is Ocala & The Villages® community area’s premier plumber for all your repairs & replacement needs. Kost Plumbing can resolve any plumbing repair issue that may arise within your home or business location, with 24/7 emergency service available. We are proficient at repairing any & all kinds of plumbing issues, including water heaters, slab leaks, leaky pipes all the way to the simple unclogging of drains. Kost Plumbing are also experts at sewer & pipe repairs, shower & tub repairs & installation, kitchen & bath faucet repair, replacement or installation, sink installation, water filtration systems, garbage disposal repair & installation, sump pump services, toilet repair & replacement, drain cleaning, leak detection & repair, backflow prevention and just about any other type of plumbing repair & installation you can think of for all Ocala & Villages area homes & commercial business properties. 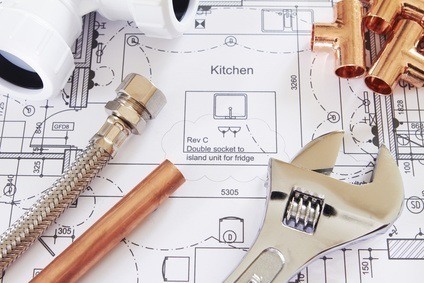 Kost Plumbing can also help with the ongoing maintenance of all of your important plumbing equipment through our maintenance service plans, as well as residential & commercial plumbing inspections to help prevent a possible major plumbing emergency down the road. So if you need any type of plumbing repair, plumbing replacement or plumbing installation in Marion, Lake, Sumter Counties, please call us at (352) 817-7647 or use our online service request form to reach out to us.